All SONTERRA THE 7TH AT homes currently listed for sale in San Antonio as of 04/22/2019 are shown below. You can change the search criteria at any time by pressing the 'Change Search' button below. 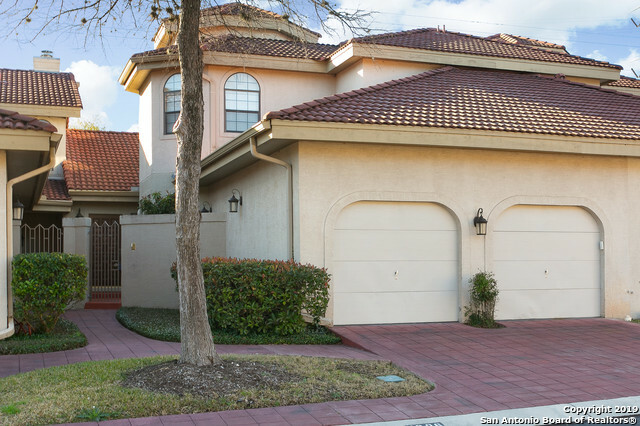 "Immaculate, move in ready townhome on the 7th Hole of the Sonterra Golf Course in a small, quiet, gated neighborhood!! Great location!! Enjoy the best of shopping, dining and entertainment and short drive to the airport. Dual master suites upstairs! Carbon treated wood in master BR and dining room. Fresh paint throughout the house. New glass in many windows. The golf cart path to the course runs along one side of the house allowing for privacy. Enjoy the patio and the beautifully landscaped bac"
"LUXURY AT ITS BEST!! THIS BEAUTIFUL MEDITERRANEAN STYLE TOWNHOUSE HAS GREAT FEATURES. IS NESTLED IN A SMALL PRIVATE COMMUNITY WITH GREAT AMENITIES. GATED ENTRY TO COMMUNITY, CLUBHOUSE, POOL ETC. THIS EXTRAORDINARY TOWNHOUSE HAS THREE MASTER BEDROOMS. MASTER DOWNSTAIRS HAS ACCESS TO THE PATIO. THE OTHER TWO BEDROOMS UPSTAIRS ARE LIKE MASTERS AS WELL WITH THEIR OWN BATHROOMS. GREAT LOFT, CROWN MOLDING, BUILT IN BOOK SHELVES, AN ATRIUM AND MUCH MORE. COME AND SEE FOR YOURSELF, YOU WILL BE AMAZED!!"